For centuries, gold has been the safest form of investment. In fact, it’s fair to say that the bullion investment has undergone little or no change. Most investors – especially savvy and wealthy investors use the bullion investment as a form of financial proof against economic meltdown. For generations, several forms of investment have emerged. Such investments like shares, forex, and most recently, the blockchain (www.en.wikipedia.org/wiki/Blockchain) technology holds some tangible benefits. But it doesn’t dispute the fact that the bullion investment is the best and safest investment. Large quantities of gold, silver, platinum, palladium, and other precious metals are referred to as Bullion. These precious metals are measured by weight and are usually sold in form of coins or bars. Like all profitable investments, gold sellers tend to lose due to their inability to locate the best places to sell their gold for cash. Here in Elite PMX, you’re offered competitive prices for your gold. This, in turn, makes it easier for you to maximize profit while selling your gold. Cash for Gold – Where to Sell Your Gold Jewelry for Cash in Toronto. Getting cash for gold could be a tedious task. Especially with several gold buyers who are unwilling to buy your gold at a profitable price in cash for gold toronto area. At the moment, the gold sale is at a historic high point. And gold owners can maximize this unique opportunity to benefit from the vast financial potential embedded in these precious metals. The truth is – no one knows when the prices will be dropping, and selling out your scrap gold, and old gold jewellery for cash will be the right choice. Like you probably know, one of the most convenient ways of selling your gold is through online gold brokers. Such online brokers make the gold selling business easy as it eliminates the need of searching for reliable offline gold dealers. Like most commercial cities across the globe, Toronto is populated with several gold dealers. And Elite PMX is one of the leading precious metal refining companies in the region. By simply reaching out to the company, you can get real cash for your gold. Most people have good quality gold without realising that by simply contacting the right agency, they’ll make a good profit from a simple sale. You probably have valuable precious metals without realizing it. Broken or undesirable jewelers, old rings, white gold, coins, pieces of jewellery, and various other scrap precious stones can fetch you real profit. Gold Exchange Standard – How To Make Money From Your Jewellery. Some countries use a monetary system where the value of paper money or currency is kept in balance with the currency of another country that’s based on the gold standard. This financial system is known as Gold Exchange Standard. Countries on a gold exchange standard are able to keep their currency at parity with gold. When the gold exchange standard is used, there will be a fixed price for gold. And gold exchange value will be fixed, enabling the government to sell and buy gold at a fixed rate. Private individuals can also benefit from the gold exchange standard. This can be done by closely monitoring the economy and determining the right time to sell. For decades, it has been observed that gold value tend to rise during the period of economic crises. And being able to forecast the economic trends will be useful in the gold selling business. Recently, we’re noticing some signs of economic distress. With the recent drop in the value of cryptocurrency and further economic meltdown in some sectors of the global market, the gold value is on a high rise. At the moment, there’s a high rise in the price of precious metals like gold, silver, platinum, and palladium. Individual’s seeking for some profitable sale can utilise this economic turbulence to their advantage. Selling your gold for a good (profitable) price would be wise. The interesting thing is… You can even make more money from your “unwanted” jewellery. Scrap Gold Jewelry – Do You Have One? Any piece of gold that can be refined or melted down by a refining company is known as scrap gold. Scrap gold usually has some percentage of gold and its value can be improved. You see, most people can make extra money by selling some scrap gold. 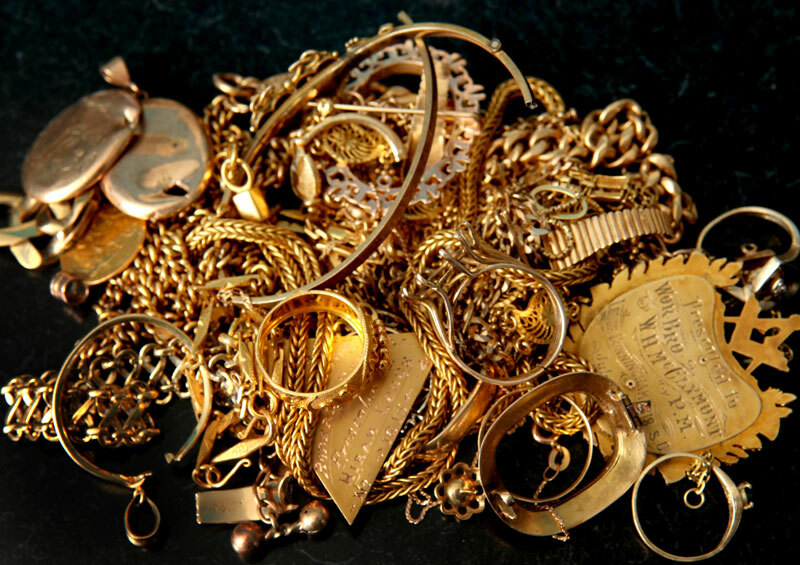 These items identified as scrap gold include necklaces, silverware, tooth fillings, old serving dishes, unwanted gold or silver jewellery, and any piece of items that are made up of golden materials. How To Sell Your Gold – The Smart Way. You can get some extra cash by simply selling some of your jewellery. And this can be done the smart way. Mail Away Operation: By simply mailing your gold to a reliable company, you’ll get paid the equivalent value of the gold. This method is quite easy as you’ll receive payment at the comfort of your home. Hotel Buy Option: Some companies will be in a very close location (mostly in a hotel), and you’ll get paid by cash for your gold. Coin And Jewelry Shops: These shops deal with the gold buying business. And gold sellers get paid for their gold jewellery. Gold Parties: These are social gatherings where deals are made. Gold sellers can get a reasonable price for their gold, thereby making more money while they socialise. Pawnshops: Gold dealers are also available at the pawnshop. Depending on the level of expertise and your bargaining skills, you can sell your gold jewellery at a profitable price. What Next? Why Should You Invest In Bullion? Adding gold to your investment portfolio can serve as a form of investment security and safety measure against financial crises. These precious stones have proved to be invaluable in the long run. Investors invest in gold due to the need to have an ‘investment protective layer’ against economic setbacks. Serving as a Hedge against declining currency. Serving as a Safe Haven in an uncertain political and economic environment. Without an iota of doubt, you’ll agree that bullion investment is the best and safest form of investment. Savvy investors invest in bullion for various reasons. But ultimately, you’re certain of making a huge return on investment in the bullion investment.